A New Year means it’s time to shine in applications and interviews as a fresh batch of training contracts is up for grabs. Knowing where to start can be daunting. Luckily, University of Law (ULaw) campus dean, Carol Draycott, who will be speaking at Thursday’s student careers event, is on hand to dispel any training contract application woes. The work, for example, is “as challenging and rewarding as in any other city, including London”. You won’t be limited to regional work, says Draycott, because there are big hitters such as Liverpudlian native Hill Dickinson (who will also feature on Thursday’s panel) that have both a national and regional presence and undertake high-end commercial work. What’s more, ULaw’s launch in Liverpool last year to a cohort of around 75 students is a further nod to the rise of the region. There is a common misconception that students starting the Legal Practice Course (LPC) do so having already secured a training contract. That’s often not the case, says Draycott, and a high proportion start the vocational course without one in the bag. But they’ll often pick one up along the way. That’s because Draycott, who first joined ULaw (or the College of Law as it was originally) as a tutor, has watched students progress throughout her career with the University and attain their goals. “Students often find engaging with the practical elements of the course helps them secure a training contract,” she explains. But don’t fret if you haven’t bagged a TC post-graduation! Taking a tiered approach is a good course of action. Training contract hunters could seek paralegal placements to build on their legal work experience — it might also lead to an offer of a training contract. It is being open-minded that gives candidates the best possible chance of securing the legal work that is right for them. Another trick up Draycott’s sleeve is to “always grasp an opportunity because you never know where it might lead”. Students should think about the resources available to them and consider how best to use them. There’s a regular roster of legal networking events which are great places to connect with top lawyers. Legal Cheek’s upcoming event in Liverpool with lawyers from Weightmans, Hill Dickinson and Exchange Chambers is just one example. If the thought of networking fills students with dread, Draycott often reminds them that upon starting at ULaw, they’re networking with the profession from day one since all ULaw teaching staff are qualified lawyers. So what sort of skills should lawyers of the future possess? “Most firms will take legal knowledge as a given now,” says Draycott, “they’re looking for something extra, something new.” Indeed, coding may be all the rage, but students mustn’t forget soft skills. Teamwork, the ability to communicate with people across all levels and a sound understanding of the commercial sector, are all assets Draycott says that will see students through. 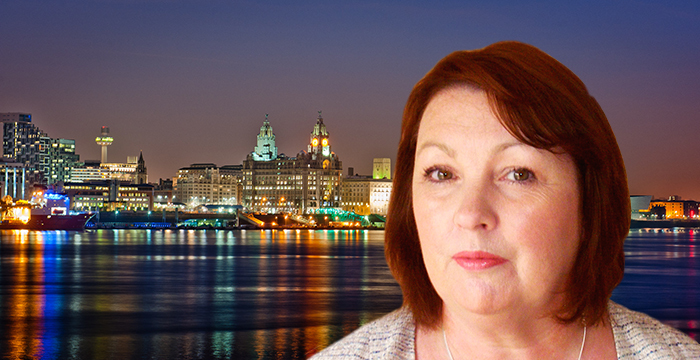 Carol Draycott will be speaking alongside lawyers from Weightmans, Hill Dickinson and Exchange Chambers at Thursday’s ‘Secrets to Success’ event in Liverpool. You can apply to attend the event, which is free, now.